Hydrafacial – #1 Dermal Infusion Procedure in America! Brown Spots & other signs of aging! One quick, non-invasive treatment is all it takes to get smooth, refreshed skin! 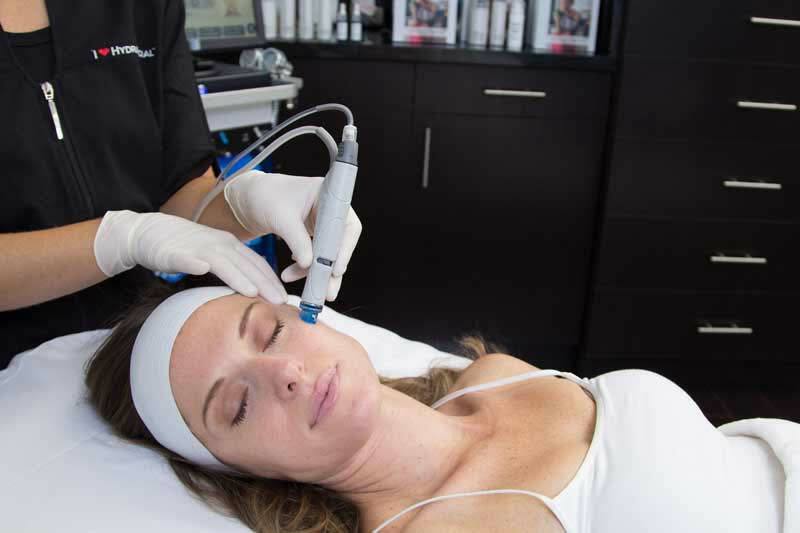 The Award-Winning HydraFacial is available at New Radiance Cosmetic Center in Palm Beach Gardens. Experience a rejuvenating, nourishing facial that leaves your skin soft and moisturized, combining cleansing, exfoliation, extraction, and hydration in one treatment. With the HydraFacial you get immediate results and requires no downtime. The beauty of a HydraFacial is that you don’t need to undergo laser procedures or surgery to get the skin you’ve always wanted. Try the HydraFacial for a pain/discomfort-free, relaxing skin treatment. Just fill out this Form Now and we will send you All the Information to schedule your 1st HydraFacial! I want to Schedule a HydraFacial!I want learn more about HydraFacials.I would like to Learn More HydraFacials and your other skin therapy procedures. The HydraFacial resurfacing procedure thoroughly enhances the skin using patented Vortex Technology. The treatment uses a series of patented HydraPeel tips. Each one has multiple abrasive edges to exfoliate the skin several times achieving even better results. The original spiral design creates a vortex to easily dislodge and remove impurities while introducing hydrating skin solutions and potent anti-oxidants. This procedure provides the benefits of peels, SilkPeels and more treatments while remaining completely comfortable and soothing to your skin. This gentle peel loosen dirt and debris from pores without irritating the skin. You get the benefits of a peel without any of the downtime! Patented, automated vortex suction cleans out pores. Antioxidants and Hyaluronic Acid are Vortex-Fused to nourish and protect your skin while providing maximum absortion. With our Introductory Pricing it’s now more affordable than ever to experience a HydraFacial at New Radiance Cosmetic Center Palm Beach! skin health benefits and can be tailored to meet the specific needs of all skin types. It offers instant, noticeable results with no downtime or irritation by removing dead skin cells, extracting impurities and simultaneously bathing the new skin with cleansing, hydrating and moisturizing serums. Treatment is soothing, refreshing, non-irritating and immediately effective. How does HydraFacial MD® help my skin? Hydration is the foundation for healthy, luminescent skin. Irritating procedures have been shown to increase signs of aging. 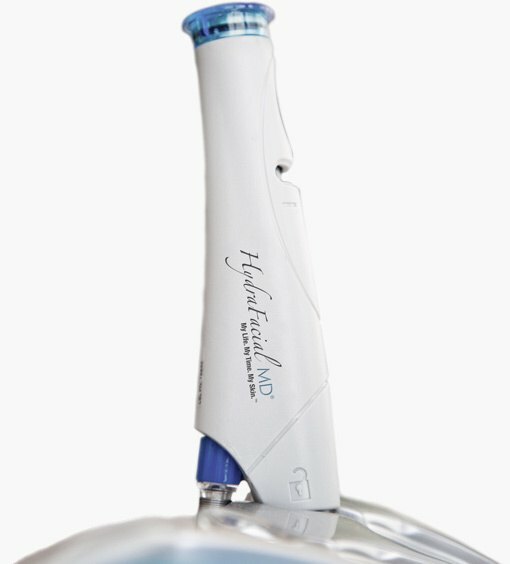 The HydraFacial MD® is a hydrating and non-irritating treatment. How long does a HydraFacial Last? Is there any downtime or pain involved? 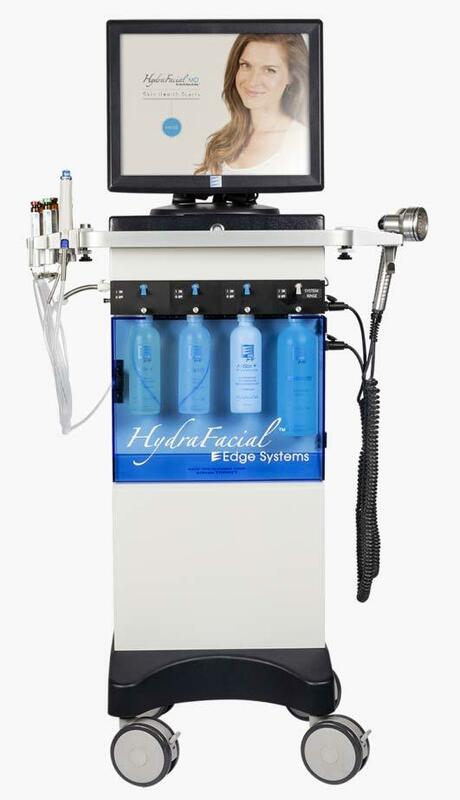 HydraFacial MD® is a fast, efficient procedure that takes as little as 30 minutes. You can resume normal activity right after your treatment since there is no downtime. As well this procedure will help your face absorb any nourishing beauty products that are a part of your beauty regimen. There is no pain involved with the HydraFacial, if anything you will feel relaxed and refreshed as your face is gently infused with our patented serums which combine the benefits of peels, dermal abrasion and hydrating products, while suctioning away dirt and dead skin cells. This leave your skin feeling new and comfortable after each treatment. If you have sensitive skin and worry about keeping your skin healthy then The HydraFacial MD® treatment is designed for you. Even the most sensitive skin easily tolerates the HydraFacial MD® treatment. Our staff of medical experts will help you choose the specific treatment serums and/or customize the treatment for your unique skin conditions and needs. With Hydrafacials you enjoy a customized solution for your skincare which combines the best of esthetician services with advanced medical dermal-infusion. We pride ourselves on providing one of the best values for HydraFacials and couple this advanced procedure with expert practitioners and tailored plans to fit your unique needs. During your Free consultation, our medical staff will help you choose the HydraFacial features that best compliment your skin.